At Spica Warrior we are still talking about DDH to the media. A few months ago I spent a couple of hours talking to a local journalist about Lucas and his amazing courage and strength. 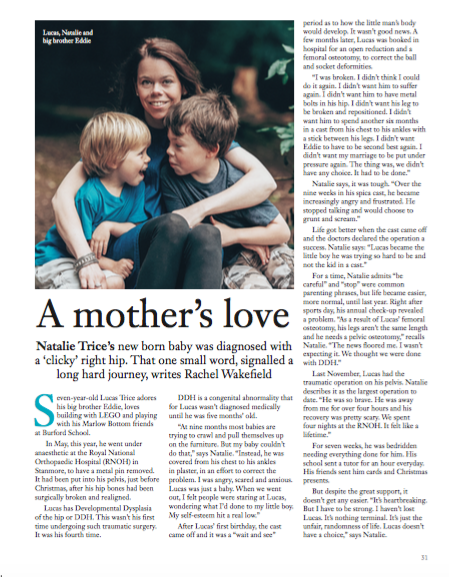 Today I am delighted to see that conversation has been created into a double page spread in LIFE Etc, a lovely local glossy magazine. 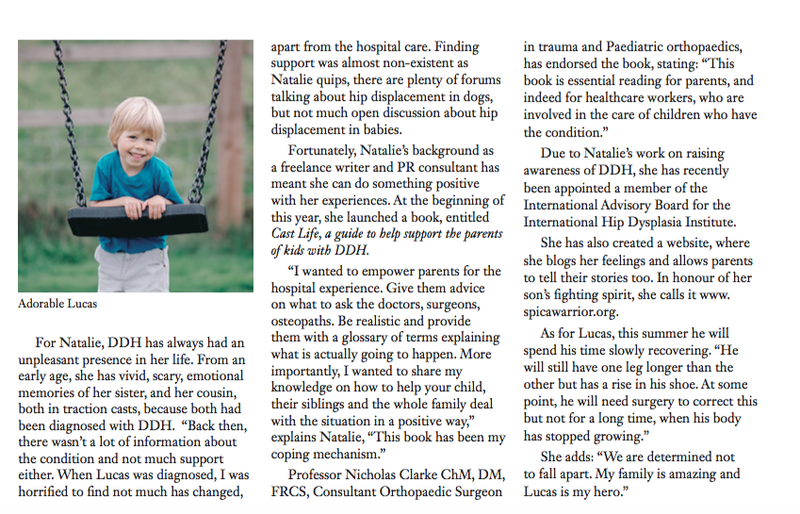 The more we talk about hip dysplasia, the more we can educate and help people. Even if this only reaches one person, we have done our job. You’ll be glad to know that Lucas is making good progress and if he recovers from a sore throat, he will be running at sports day on Wednesday. As I have said before, DDH isn’t life threatening, it is life changing. It won’t beat us but it will make us stronger. To find out more about DDH, have a look on this site, or get in touch – we are always happy to help.